NATIONALLY RECOGNIZED ER What makes a superhero so super? The ability to leap tall buildings in a single bound. The strength to achieve the impossible. The speed and efficiency to handle any emergency. At Lakeland Regional Medical Center’s nationally recognized Emergency Department, we are dedicated to providing you with the highest level of care. So whether it’s your own superhero or you who’s in need of emergency care, our team is ready. Why worry about stubborn stubble, unruly hairs, and pesky razors? Erase your worries with laser hair removal from True MD. The patient and any other person responsible for payment has a right to refuse to pay, cancel payment, or be reimbursed for payment for any other service, examination, or treatment that is performed as a result of and within 72 hours of responding to the advertisement for the free, discounted fee, or reduced fee service, examination, or treatment. Limit one coupon per customer per visit. Coupons and special offers cannot be combined. Copyright 2014, True MD. All rights reserved. Publix founder George Jenkins, circa 1950, overseeing the construction of the original Lakeland warehouse and corporate headquarters complex for Publix Super Markets. In a garage workshop, or around the dining room table. In a rented warehouse, or at the local coffee shop, or yes, even in a humble small-town storefront, a great idea can take rootâ&#x20AC;&#x201D;and take off. George Jenkins began with a simple dream: to run the best store in town. His passion for customer service, his willingness to share his success with others, and his legendary philanthropy impacted everything and everyone around him. The opportunities he provided continue to bear fruit; perhaps, even, to inspire others to pursue their own dreams. Because for those who share his entrepreneurial spirit, Lakeland remains fertile ground. George W. Jenkins believed in the human spirit and that people are a company’s best asset. Here, courtesy of the Publix archives, he bags groceries alongside Publix associates. The legacy of Mr. George, as he was affectionately known, has contributed to Lakeland’s culture and added to this city’s charm, creativity, and giving spirit. In this issue we explore many aspects of what The Lakelander has coined The George Effect. Open to the public. Whether you are looking for a new back nine to conquer, the best cobb salad in town, a picturesque location for your dream wedding, or just a place to enjoy, The Club at Eaglebrooke is here to raise your expectations. It’s the perfect place to improve your golf swing, enjoy a meal with friends, or even host a celebration. You work hard and you deserve a place to relax and let loose. The unexpected is right here waiting for you. Find it at The Club at Eaglebrooke, where everyone’s invited. Juli Surface, Assistant Vice President & Branch Manager, is a Florida native. She grew up in Plant City but has roots in Lakeland where she and her fiancĂŠ are raising their family and are members at First United Methodist Church. EDITORIAL BIOS TARA CAMPBELL Tara Campbell is a long-time Lakelander with a passion for serving others. A graduate of Florida Southern College, she is currently the team and outreach director for Access Church. In the past she has worked as the teen development director for the YMCA of Central Florida, the outreach teacher at the Polk Museum of Art, and a classroom leader at Parker Street Ministries. Believing firmly that only boring people get bored, Tara spends her free time mentoring middle-school girls in the Parker Street Neighborhood, teaching art lessons, and serving the community through several civic organizations, as well as enjoying all of the friends and culture that Lakeland has to offer. LOGAN CRUMPTON Logan Crumpton has been employed with the United States Postal Service for the last 14 years. Although he has lived nearly his entire life in the Lakeland area, he seeks out a world of food culture with the mindset of sharing it on a local level. Like many who have developed a love of food, he honed his skills in his grandmother’s kitchen, learning traditional Cuban and Italian classics. Pursuing more of a life in food has afforded him the opportunity of co-creating the food blog Eataduck, guest writing for online publications, as well as trying his hand as a caterer and private chef. ADAM SPAFFORD Adam Spafford came to Lakeland in 1999 to attend Florida Southern College and, except for a 20-month graduate school stint in Massachusetts, has been here since. When he’s not writing page-turners for The Lakelander, he trades stock and index options. JASON DEMEO Jason’s curiosity brought him from Pittsburgh to Lakeland in 2003 to attend Southeastern University (B.A marketing, M.A. ministerial leadership). While there, he met his wife, Hillary; since then, Lakeland has truly become their home. Jason’s career has taken him from corporate America to Oasis Community Church, where he currently serves as the Spiritual Formation Pastor. Jason is an adjunct professor at Southeastern, a budding writer, and an aspiring entrepreneur with his most current project, Curio. He feels compelled to help people design lives and environments that promote flourishing. You can find him on Instagram @thedemeos, @wearecurio, and @free60daily. EAT BETTER, SMILE MORE, AND LIVE LONGER! My mouth was in serious trouble. I had four teeth left in the top of my mouth and two of them were loose and about to fall out. Additionally, I had little to no bone left in the top because I had been without teeth for so long. My bottom teeth and gums were seriously deteriorating. I am a College Professor, Public Speaker, and a Leadership Development Expert. However, I was extremely self conscious because I teach my students the importance of the four first impression skills that people use to make decisions about you in less than 90 seconds. They are your handshake, your smile, your visual delivery, and what you say and how you say it when you open your mouth. My professional ambitions were being hindered by the condition of my mouth. Now for the first time in years, since I’ve had all my teeth removed and my dental implants placed I don’t have to be selective with what I eat now. I can make healthier choices. The ease and comfort to chew what I want, when I want, has really empowered me to take control of my health. When people see me now, they are utterly amazed at how I look! My new smile has changed my whole outlook and I am not afraid to smile now. I am truly blessed and want people that read this to know and understand how caring the people are that work for Dr. Nerestant at Midtown Dental. My experience with Dr.Nerestant and Midtown Dental has really been phenomenal. Like many, I often associate a degree of anxiety and fear with going to the dentist. However, from the moment I walked into Midtown Dental, there was an atmosphere of “We are family.” By the time I walked from the door to the receptionist desk, all anxiety was gone. I now feel like I’m a part of the Midtown Family. What was really amazing to me was that even the young woman brought in to handle my IV sedation had the same attitude of the rest of the staff. To me, that says that Dr.Nerestant goes out of his way to ensure that everything and everyone connected with Midtown Dental portrays this attitude of caring and family. My experience has been phenomenal. They can do it all. From the everyday cleaning, to full mouth dental implants while you sleep peacefully. I encourage people to not be like me. Be sure to take care of your oral health. It is so important to your overall health. I would recommend Midtown Dental hands down. I am extremely grateful to Dr.Nerestant and Midtown Dental. For a FREE red packet of information or to schedule your FREE consultation on dental implants CALL US TODAY! For a fee advertised ‘minimum fee only’ or for fee service: the patient and any other person responsible for payment has the right to refuse to pay, cancel payment or be reimbursed for payment for any service, examination or treatment which is performed as a result of an within 72 hours of responding to the advertisement for the free, discounted fee, or reduced fee service, examination or treatment. BILL VASS Bill Vass is a former officer and director of Publix Super Markets, Inc. He is a native of Tampa, and he and his family have resided in Lakeland for the last 34 years. JARRETT SMITH Jarrett Smith is a lifelong Lakeland native with a passion for time spent outside and the sorts of adventures that are only fun in retrospect. By day, he’s a digital strategist at Winter Haven advertising agency Clark/Nikdel/Powell. Also by day, he’s father to two rowdy boys and husband to his favorite partner in crime. Jarrett is a graduate of no less than three distinguished Lakeland institutions, including Dixieland Elementary, Hazel Haley’s Senior English, and Florida Southern College. DIANA SMITH Diana Smith is a native Lakelander, devoted wife, and proud mother of two rambunctious boys. She earned a B.A. in English from Florida Southern College and works at Madden Brand Agency. TODD BAYLIS Born and raised in Lakeland, Todd Baylis moved back after graduating from Florida State University with a degree in computer and information sciences. Deciding to take a chance as an entrepreneur in Lakeland, he incubated and expanded Cipher, a technology consulting company he helped found in college. This eventually led to the founding of Qgiv, an online fundraising platform for nonprofit, faith-based, and political organizations. In his free time, he enjoys playing poker, golf, and other sports. Todd also enjoys volunteering with various organizations in the community, which currently includes mentoring entrepreneurs at Catapult, and serving on the boards of both the Lakeland Economic Development Council and the Imperial Symphony Orchestra. Are We the Right Fit? When it comes to decisions as significant as managing wealth, there’s no one-size-fits-all. That’s why we believe it’s important to have a trusted advisor with the competency to give measured advice in any market climate. No one can guarantee you future investment performance, but we promise a unique, high-touch experience, custom-tailored to your long-term financial success. Learn how we measure up. Call (863) 904-4745. Investment advisory services offered through Calton & Associates, Inc. Member FINRA/SIPC a SEC Registered Investment Advisor. Core Wealth Advisors, Inc. and Calton & Associates, Inc. are separate entities. All investment strategies have the potential for profit or loss. One man’s life touched a whole town with prosperity, charity, and a culture of kindness. Publix’s financial statements reflecting the weakened, inflation-plagued economy of 1980. The company had managed a slight profit increase but only because of some tax credits related to opening a new food processing facility. Profit from the Publix stores had fallen. While lower profit was unsurprising for many companies in 1980, Publix maintained a firm expectation of healthy profit increases every year in any economy. As we approached his desk, Mr. George looked up at us with that ever-present cigar in his mouth and invited us to sit. I remember my uneasiness because I knew the results were worse than he expected, and he was not a man I wanted to disappoint. He studied the earnings report for several minutes in quiet. Then, he placed the report on his desk and said the strangest thing. “Well, that’s about as much money as anybody needs to make.” That man, raised in modest circumstances in Georgia, having come to Florida with only a few dollars in his pocket, could be pleased with what his company had accomplished though it was less than he hoped or expected. There was a rare humility in his reaction that reflected his continuing surprise at just how well he and Publix had prospered. He often remarked that Publix had become far more valuable than he anticipated. What a pleasant surprise! He was the same man that day in 1981 who over 40 years earlier sat amazed on the steps of the church across the street from the supermarket he would open the next day in disbelief that any store could ever be better. George Jenkins lived his life in amazement at what a man of meager means could build in this country. Though he was ambitious, that ambition was infused with delight in and gratitude for what he had already experienced. It made for a joyful life, and it made him a joy to work with and for. Yet, it was a second feature of his humility that I found most unusual and impactful. it. Gratitude meant close friendships and active participation with members of the supermarket industry. And gratitude meant contributing money, time, and effort to the communities Publix served so they would prosper as Publix prospered. This was especially true of Lakeland. George Jenkins built a company where generosity and service to community made sense. He set the culture by his own character. That does not mean that everyone at Publix shared his type of humility and gratitude, but it does mean that in the culture of Publix, charity and community service made sense. He influenced his family in a similar way. As the result, our city has been a primary beneficiary of the effect of his gratitude. In the years after World War II, Mr. George, and other like-minded people, shaped a culture in Lakeland in which generosity and charitable or civic voluntary service were normal. They helped define Lakeland as a wonderful place to live, a city with a great heart. I think about Mr. George every Christmas when I watch the story of another George, George Bailey, in the 1946 Frank Capra film classic, It’s a Wonderful Life. Bailey almost missed the wonder of his effect on his hometown, Bedford Falls. One man’s life touched a whole town with prosperity, charity, and a culture of kindness. That is how I think of George Jenkins’ life and Lakeland. Capra adapted his screenplay from a short story after buying the motion-picture rights in 1945. Coincidentally, that was the same year George Jenkins bought a business named The Lakeland Grocery Company along with its 19 locations to add to his two Publix stores. With that purchase, Mr. George chose to move himself and his Publix headquarters to Lakeland. 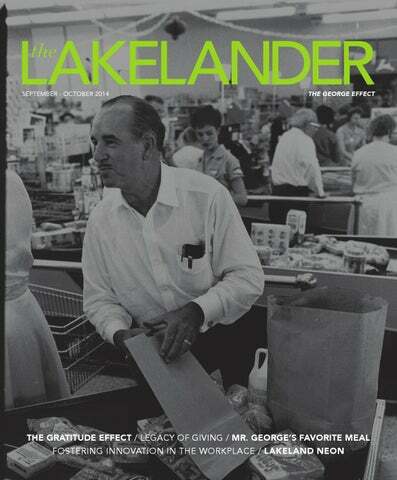 His decision in 1945 represented not only a giant step toward fulfilling his ambition in the supermarket industry but also a great and continuing blessing to the prosperity, charity, and culture of Lakeland. He was a genuinely grateful man for whom we may be truly grateful. in the truest sense of the word, his charitable heart continues to beat in his family and the many organizations that follow his examples. In this same spirit, GiveWell Community Foundation works to help improve the lives of those in the Polk County region and beyond. But the work we do can’t be done alone— it takes generous, like-minded people who love doing good. Won’t you join us? It would be a pleasure. For more information, please call 683-3131. You’re important to OUR community, and we thank you. ©2014 KB Home (KBH). To receive $2,000 toward Studio options offer, at least one buyer must be a full-time employee of Publix® at time of contract and show valid proof of employment; present this ad on or before date of signing purchase agreement; sign purchase agreement on a new Built to Order™ KB home at Sundance Fields between 9/1/14 and 11/30/14; close escrow in time required under the contract; and finance with Home Community Mortgage as described below. No substitutions; not transferable, redeemable or exchangeable for cash; cannot be combined with any other offers; and supersedes previous offers. Studio options offer good only at Orlando KB Home Studio. Only one Studio offer per new home. Offer will be credited at closing. KBH employees and their family members are not eligible for this offer. KBH reserves the right to extend, modify or discontinue promotion/offer at any time without prior notice. Other restrictions and limitations may apply. No affiliation or sponsorship is intended or implied with Publix, and all trademarks are owned by the trademark owner. See Built to Order options and upgrades offered at KB Home Studio. All options/upgrades require additional charges and ordering at predetermined stages of construction, and are subject to change/discontinuation anytime by KB Home. KB Home is not a custom homebuilder. Plans, pricing, financing, terms, availability and specifications subject to change/prior sale without notice and may vary by neighborhood, lot location and home series. Buyer responsible for all taxes, insurance and other fees. Sq. footage is approximate. Photo may depict upgraded landscaping/options and may not represent lowest-priced homes. Photo does not depict racial preference. See sales representative for details. CBC051212 ORL-119977 *Buyer must obtain mortgage financing from Home Community Mortgage, LLC to qualify for this offer. Buyer must sign purchase agreement between 9/1/14 and 11/30/14 and close escrow per terms of contract. This offer is subject to underwriting guidelines which are subject to change without notice, which limit third party contributions, and is available only for owner-occupied homes; non-owneroccupied homes are subject to additional restrictions and qualifying requirements. Home Community Mortgage, LLC, 405 State Highway 121 Bypass, Building A, Suite 110, Lewisville, TX 75067. NMLS Unique Identifier #1038152. ANYONE WHO KNEW JENKINS WILL TELL YOU THAT HE WAS THE TYPE OF PERSON WHO UNDERSTOOD THE VALUE OF A PERSON’S DIGNITY. we made and the cool places to see in Lakeland. And, of course, we told him about our great Publix stores and the role they play in this community. (Obviously, a tour of Lakeland wouldn’t be complete without mention that our very own Southgate Publix had a cameo in the classic film, Edward Scissorhands.) While I was sure Alex would think Lakeland was a nice place to live, I wasn’t certain how impressed he would be or how it would stand up to Atlanta, the city in which he lived. What I wasn’t prepared for was his quick arrival at the truth. As we walked around Lake Mirror, Alex said, “Lakeland is a really great place. You guys do a lot of good here.” Ashlea and I understood this about Lakeland, but this has been our home. We got involved; we built community here. However, Alex had been in town for less than a day and he could already see the character of Lakeland. When he said we do a lot of good here, he wasn’t speaking to the truth that we do a lot of things well, instead he noticed how quick Lakelanders are to help. Our city is unique in its attitude toward others; it has a culture of giving back that has been cultivated and stewarded by passionate citizens for many years. To understand where this culture comes from, one only has to look to one of Lakeland’s most influential legacies, George Jenkins. Many Lakelanders know his name and that he is the man behind Publix, but what they don’t realize is the scope of George Jenkins’ philanthropic spirit. His idea of generosity has created the giving spirit that defines Lakeland’s culture, making this a unique community. In 1966, Mr. George founded the George Jenkins Foundation. Soon after, however, he changed the name to Publix Super Markets Charities so that it could live on well after he was gone. Today, Publix supports more than 10,000 organizations in the six states that are home to Publix stores. Through the generosity of his extended family, Publix Supermarket Charities, and individual Publix stores, Lakeland’s culture perpetuates and advances. Publix Super Markets Charities matches its employees’ giving to the United Way every year. Together, in 2013, Publix and its associates gave over $50 million back to Publix’s communities. Publix is also currently ranked third in United Way global giving, beating out companies like GE and IBM (UnitedWay.org). Publix does not stop at donating to the United Way, though. There are countless donations made through Publix stores; stores individually participate in numerous drives every year, including Tools for Back to School, Feeding America, Food for All, Special Olympics, and March of Dimes. Through these initiatives Publix has given over $100 million back to its communities over the years. This remarkable $150 million plus does not include the many gift cards given to thousands of food pantries and grassroots organizations across the Southeast, nor does it include contributions made through Publix Super Market Charities. When Mr. George opened his first grocery store in 1930, I wonder if he ever thought he would make a difference of such magnitude. WHEN MR. GEORGE OPENED HIS FIRST GROCERY STORE IN 1930, I WONDER IF HE EVER THOUGHT HE WOULD MAKE A DIFFERENCE OF SUCH MAGNITUDE. Publix focuses its giving efforts on two main issues: youth education (specifically literacy), and hunger and homelessness. Many Lakelandbased charitable organizations also tackle these issues and work tirelessly to ameliorate them. Organizations like Parker Street Ministries, Lighthouse Ministries, and Lakeland Volunteers in Medicine started out the same way Publix did — as a bold idea and with a lot of passion. Now, thanks in large part to Publix’s generosity, these organizations are able to serve more people and make bigger impacts than ever before. Of the 10,000 nonprofits that Publix supports, many are small, grassroots organizations like Answered Prayer Ministries and ElderPoint Ministries. Organizations such as these are inspired and affected by The George Effect, a legacy of giving that provides sustainable growth that lasts far beyond a check in the bank. FESTIVE HOLIDAY PARTIES Only minutes from Disney, Reunion Resort offers a variety of venues for parties and gatherings, limited only by the depth of your imagination. From spacious pavilions to elegant ballrooms and a breathtaking rooftop lounge with eye-popping views, look no further… your party destination has just been located. Lakeland is rich with people who, affected by George Jenkins’ legacy of philanthropy, are inspired to leave this world better than they found it. If you open your eyes and look around, you are sure to find someone helping somewhere. A family picking up trash along the side of the road, a retired teacher volunteering at a local school, a teenager delivering meals to people who are stuck at home, a businessman reading with a child on his lunch break, a college student caring for animals, a retiree rocking babies in the NICU, doctors treating patients who have no health insurance: Lakelanders are passionately pursuing a philanthropic purpose. To celebrate National Philanthropy Day®, the Greater Polk Chapter of the Association of Fundraising Professionals (AFP) will begin a tradition of honoring the local philanthropic community at the inaugural National Philanthropy Day® Awards Breakfast. This day is set aside to specifically recognize and pay tribute to the great contributions that philanthropy and the people active in Polk County’s philanthropic community have made to our lives, our community, and beyond. The Lakelander sat down with AFP to find out more about National Philanthropy Day® and what philanthropy means to our community. store. Heartwork is done in small moments, in the normal, mundane life moments available to us all. Mr. George’s philanthropic spirit starts at home and will grow outward from the passionate hearts we build. TL: What inspired AFP to set aside a day to honor this community’s very special philanthropists? AFP: National Philanthropy Day® is both an official day and a grassroots movement. Every year since 1986 when President Ronald Reagan first proclaimed November 15 as National Philanthropy Day®, communities across the globe have celebrated by hosting events to recognize activities of donors, volunteers, foundations, leaders, corporations, and others engaged in philanthropy. It’s part of our larger organization but also because we believe in philanthropy, and we want to recognize and honor those who have made an impact on our community. TL: Do you think we’ll be surprised by any of the nominations? AFP: Yes and no. We hope that the unsung philanthropic individuals who give so much to our community will have a moment to be appreciated and shine. We want to tell their stories and the stories of the lives they have touched. In a community this size we will have overlap in the number of nominations a person, couple, or organization will receive. But, we are excited to see those who we aren’t as aware of, such as the Youth in Philanthropy or the Volunteer of the Year. Friday, November 7, 2014 LTB Lakeland Campus/Polk State College 7:30 a.m./ Registration 8:00 a.m. – 9:30 a.m./National Philanthropy Day® Breakfast The Greater Polk Chapter of the Association of Fundraising Professionals will honor community heroes in the following categories: • Philanthropist of the Year • Philanthropic Corporation of the Year • Philanthropic Small Business of the Year • Spirit of Philanthropy • Volunteer of the Year in Philanthropy • Youth in Philanthropy For more information on the event, please visit afppolk.afpnet.org/. Lakeland Locals Favorite Spot for Crispy, Square-Cut Pizza & Savory Subs Half-Off Pizza Deal! Buy any 12” or 16” pizza and get another pizza,* the same size, with up to 2 toppings for half-price! *Second pizza must be of equal or lesser value. Two Lakeland Locations! 4648 Cleveland Heights Blvd. | 863-937-9280 2306 E. Edgewood Dr. | 863-450-2986 Now Open on Anna Maria Island! My wife, Hillary, and I have lived in Lakeland for nearly 10 years. With the love bugs hassling us and the July heat threatening to melt the tires off our car, in the beginning we thought we might end up in another city. Atlanta, Nashville, and Austin were vying for our attention, but a decade in Lakeland was unlikely. Much to our surprise, however, we have fallen in love with this charming city, and 10 years later we’re still here. And, it’s all because of community. been an easy concept for me. As an introvert, I enjoy spending time by myself, thinking, reading, or creating. Hillary, on the other hand, is an extrovert. She likes to say that she likes people, and I like books about people. Truly, Hillary has helped me grow in my understanding, appreciation, and love for community. Fortunately for me, years ago, Hillary convinced me to become part of a small group of Lakelanders, to build a support network and get to know people beyond a surface, smalltalk level. We chose to do this by joining a “LifeGroup” at our church. This experience allowed me to get to know a bunch of caring and passionate people who wanted to share in my joys and struggles, to help me become the best “me” I could be. While at times it was a stretch, I grew to love and appreciate the people in my group and found them to be great allies in my life. Making the effort to join with a small group of people to “do life” together was one of the best decisions I have made. Out of that group came some of my best friends and the job I currently have, where I help to oversee all of the LifeGroups at our church and help people share in community with one another. Talk about full circle for this introvert! WHEN IT COMES TO LOVING WHERE YOU LIVE, HALF THE BATTLE IS CLAIMING YOUR CITY AS YOUR OWN AND INVESTING YOUR HEART IN IT. CHRISTMAS IS JUST AROUND THE CORNER! Surprise your loved one with a beautiful piece of fine jewelry from our wide selection of diamonds and gold. 20% off the retail price of any jewelry item when you mention seeing this ad in The Lakelander. Your Family Dealerships For Over 38 Years 2014 Chevrolet CORVETTE Order yours and we will fly you to the factory. • WRITE A LETTER TO SOMEONE WHO HAS IMPACTED YOUR LIFE. TELL THEM HOW MUCH THEY MEAN TO YOU. • INVITE A FRIEND TO TAKE IN AN ART EXHIBIT AT THE POLK MUSEUM OF ART. DISCUSS IT. • CONVINCE A FRIEND TO JOIN THE YMCA WITH YOU. • TAKE A FRIEND OUT FOR COFFEE. ASK THEM ABOUT THEIR PASSIONS. • TAKE A GROUP OF PEOPLE SWIMMING AT KELLY RECREATION CENTER. • GET INVOLVED WITH A LOCAL CHURCH. • SET ASIDE A TIME EACH WEEK TO CONNECT WITH A FRIEND, EITHER ON THE PHONE OR FACE-TOFACE. • WALK LAKE HOLLINGSWORTH WITH A FRIEND. 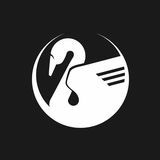 • READ THE LAKELANDER TO STAY UP-TO-DATE ON WHAT’S GOING ON IN LAKELAND! • HOST A NEIGHBORHOOD COOKOUT. • INVITE A NEIGHBOR OVER FOR DINNER. • GO TO FIRST FRIDAY OR LAST FRIDAY. • TAKE A CAMPING TRIP WITH YOUR FAMILY OR “FRAMILY.” • SHOP LOCALLY OWNED BUSINESSES TO SUPPORT YOUR COMMUNITY. • GET INVOLVED WITH LOCAL POLITICS. VOTE. • START A BOOK-DISCUSSION GROUP. MEET REGULARLY. • EAT DINNER IN A HOME, AT A TABLE, WITH PEOPLE YOU LOVE ON A REGULAR BASIS. • INVITE NEW FRIENDS OVER FOR A GAME NIGHT. • FIND AN ORGANIZATION DOING WORK THAT YOU ARE PASSIONATE ABOUT. VOLUNTEER WITH THEM. • JOIN A SPORTS LEAGUE. Lakeland inspires in me the very definition of community: “A feeling of fellowship with others, as a result of sharing common attitudes, interests, and goals.” (Oxford Dictionary.) When I play tennis at Edgewood Park or stop by the Polk Museum of Art, I feel community. When I watch the fireworks at Lake Mirror, or when I run Lake Hollingsworth, I become part of this city. When I am at Catapult with like-minded entrepreneurs, or when I walk my dog, Maggie Roo, downtown during First Friday, Lakeland is my city. When I go to a Lakeland High School football game, step on campus at Southeastern University or Florida Southern College, when I spend time at Oasis Community Church with people who have become my “framily” (friends who have become family), the community that is Lakeland permeates throughout. I’ve thought long and hard about what makes Lakeland so special and have arrived at several conclusions. Our motto, “Close to everything… away from it all,” nails it. We have the sense of a small-town life and access to big-city amenities. In Lakeland, it’s tough to go somewhere and not run into someone you know. Lakeland is home to many people who have invested fully in building community, including Mr. George Jenkins. His impact is everywhere. His spirit and legacy abound in all corners of Lakeland. Mr. George’s philosophy led him to create a culture at his company where employees were too valuable to be called just employees; they were always associates. His values of “Investing in Others” and “Respecting the Dignity of the Individual” were guiding principles that turned the workplace into a vibrant community. The George Effect, Mr. George’s lasting legacy of appreciation and care for others, has in many ways shaped the Lakeland we know and love today. He invested fully in his company, his family, friends, and surrounding community. Lakelanders feel the effects of his legacy while shopping at Publix, spending time at Barnett Park, or enjoying many of the buildings and amenities at Florida Southern College. INVEST IN THE RELATIONSHIPS AROUND YOU, AND YOU WILL FIND YOURSELF HAPPIER AND MORE DRAWN TO THE PLACE WHERE YOU LIVE. Even though the quantity of our social “connections” may be increasing, the quality of them, unfortunately, seems to be decreasing. People, for the most part, take risk factors such as smoking, diet, and exercise seriously. It’s time we added community and social relationship factors to that list. If we want to have good relationships, we need to foster a positive attitude. One thing that has been found to increase mood, outlook, and mental health is sunshine. With Lakeland coming in well above the national average for days of sunlight each year, you have another factor working in your favor! In Lakeland, there’s no reason to be isolated; it’s full of opportunities for community. Invest in the relationships around you, and you will find yourself happier and more drawn to the place where you live. And, as a bonus, you just might add a few years to your life. From my early childhood, through my school years, and even now in my parentsâ&#x20AC;&#x2122; home and in my own home, one constant always holds true: family dinner is essential. I grew up with a dinnertable reflex; every evening around 6:00 p.m. or so, my body would automatically lurch toward the kitchen table. A meal shared each day between everyone living under one roof was not a hard-andfast rule; it just was the way it was. Eating supper together with my parents and my big brother was my sanctuary, a time and place of great security. No matter how difficult the day may have gone for any of us, we still got to have that small portion of our waking hours to eat good home cooking and share time with the faces we adored. If something great had happened, rest assured the dinner table was where the news would be broken. It was around the dinner table during suppertime with my immediate and extended family where my wife and I announced we were expecting our first and only son. And, it will again be a place and time to meet for other similarly joyous revelations between loved ones in the future. a lobster once a year, on his birthday; however, this habit only began when he was well into his 70s. Of course, all items were purchased at the neighborhood Publix. For our Tasteful tribute to Mr. George, his family, and to those who still foster a sense of community around the dinner table, we crafted a meal we think he would have loved. Main Course: We would be hard-pressed to find a household in Lakeland that hasn’t enjoyed the delicious convenience of a Publix friedchicken dinner. With this as inspiration, we brined, hand battered, then fried fresh chicken. Sides: Mr. George was a true Southerner, so we paired the chicken with classic mashed potatoes and other Southern vegetable-based dishes, like collard greens and cornbread, to go along with his meal. The Splurge: We incorporated a butter-poached lobster tail into a spicy Southern gumbo. Reflecting on what else I personally enjoy at Publix lent a hand when deciding on a simple and fitting dessert. As a child, I would sit in the cart while my mother shopped for our weekly groceries at the old Searstown Publix store (as I can recall, it was the store with the bountiful cornucopia mosaic on the front facade.) She always took me to the bakery to choose a cookie, as long as I was well-behaved. I always picked the sugar cookie with the chocolate dot in the middle. The technical term in Spanish is tortica de moron; and Publix still sells them at select stores. We hope you will use these recipes as a reason to gather with those you love, to share a meal, and to love being part of this community. The Big Green Egg stands alone as the most versatile barbecue or outdoor cooking product on the market, with more capabilities than all other conventional cookers combined. SAUCES, RUBS, CHARCOAL, GRILLS, ACCESSORIES, CLASSES, ADVICE. Southern Bred Smokers fully automated real wood fire and real smoke flavor smokers are for you! If you have been looking for a real fire smoker with the ease of the pellet grill you have found the perfect smoker. Southern Bred Smokers use wood or charcoal matched up with the perfect built in forced air draft system in one complete package. First, break down a whole chicken into separate pieces (or buy one prebutchered), making sure to leave the skin intact. Additionally, halve each individual breast so you end up with 10 total pieces. Place in a large, sealable plastic bag or container. Place the following items in the bag or container with the chicken and let sit for at least four hours in the refrigerator. (For better results allow 12-24 hours.) Remove the chicken and pat dry, then set aside. 2 cups buttermilk 2 cups room-temperature water 1/8 cup of honey 8 sage leaves 2 sprigs each of rosemary and thyme (plus extra for garnish) 1 head of garlic, cut in half 1/4 cup salt 1 tsp ground pepper Juice and zest of 2 lemons Mix together the following, and equally divide into two shallow bowls: 3 cups all-purpose flour 1 Tbsp garlic powder 1 Tbsp onion powder 3 tsp All-Seasons salt 2 tsp smoked paprika 2 tsp black pepper In a separate mixing bowl, mix together the following ingredients. Place the bowl on your prep surface between the two bowls of seasoned flour. 2 cups buttermilk 1 cup half-and-half cream Juice and zest of 1 lemon 1/2 tsp All-Seasons salt 5 dashes of Crystal hot sauce Coat each piece of chicken with flour, shake off excess, then dip in the buttermilk, and finally dip in the second dish of flour. Shake off excess, then set aside for about 15 minutes before frying. Repeat until all the chicken is prepared. To fry, pour about 2 inches worth of oil into a large, deep-sided, cast-iron skillet or large pot, or use a small personal fryer up to its specified amount (about 1/2 to 1 gallon). Peanut oil or a mild-flavored vegetable-based cooking oil is preferred. Heat oil until a thermometer reaches 320 degrees F. Carefully and slowly place chicken into oil, making sure to not splatter. Also, do not overcrowd your cooking surface. Cook for 13-15 minutes or until the chicken reaches an internal temperature of at least 165 degrees F. Remove cooked pieces and place on a wire rack lined with paper towels. To make the honey lemon drizzle: 1 cup honey Juice of 2 lemons plus zest from 1 lemon 1Â˝ tsp ground mixed or black pepper 3 dashes of Crystal hot sauce Pour all items into a sealable jar, then close and shake until well mixed. Use a spoon to drizzle desired amount onto the chicken. Sprinkle torn bits of the reserved rosemary and thyme sprigs onto the chicken. Friday, October 31 • 8:00 am–1:30 pm • Lake Mirror Auditorium Featuring keynote speaker Rick Baker, former mayor of St. Petersburg, Florida, and author of The Seamless City, a special presentation honoring architect Robert M. Stern, and market overviews from experts in industrial, office, retail, and residential real estate. the privilege of meeting Mr. George. I can recall the day when he provided me with his phone number followed by these words: “If there ever comes a time when you can’t take care of our customers or don’t have time for our associates, call me. I will.” TL: It seems that many associates feel the same way. Tell us about the remarkably long tenure of the company’s employeeowners. TJ: In 2014, we had more than 19,400 associates celebrating their service awards (in five-year increments) at Publix, and of those, 2,748 were celebrating more than 20 years of service with us. What’s even more amazing is that the average tenure for a Publix store manager is 25.8 years. Our culture of promotion from within coupled with associate ownership creates skin in the game for our associates. It’s a sense of accountability and responsibility for our success. There’s not one single area of the business that is more important than the next. We work cross-functionally to provide service to our customers, internal and external. Our CEO, Ed Crenshaw, has a theory. If you come to work and make it past your 90 days, more than likely you’ll be here for your first anniversary. If you’re here on your first anniversary, you’ll likely be here to celebrate your third anniversary. And if you’re here for your third anniversary, we’ve got you! Our associates are the key to our success. They are the secret sauce. It can’t be replicated; it’s unique to our company. TL: A few years ago you were quoted as saying, “Never forget where you came from.”1 How does this philosophy help you lead the company and serve customers? TJ: In order to lead an agile and effective team, you need to have an understanding of the people, the processes, and have a shared vision of the company strategy. As president, I advocate for my retail store teams. I remember each lesson I learned every step of the way, from my days as a part-time front service clerk to becoming store manager. I recognize what we’re asking our retail teams to execute on each and every day as we go to business, and I place myself in their shoes. must outrun the slowest gazelle or it will starve to death. It doesn’t matter whether you are a lion or a gazelle…when the sun comes up, you’d better be running.” So each new day we face new challenges and opportunities. But we always keep in mind that we are here to meet and exceed the expectations of our customers. So whether we’re looking to solve the “What’s for dinner question?” by providing meal solutions, or teaching our customers how to cook with our Publix Aprons Cooking Schools, or looking to save our customers time with Publix Deli Online Easy Ordering, or if we’re looking to bring new and innovative products to our shelves, we’re doing it so that our customers look to Publix. Over the years, we’ve introduced a multitude of innovation and convenience, including Publix Pharmacy, Publix Liquors, Publix Sabor, and we look ahead to evolving technologies and how we continue to best serve our customers. Also worth noting is our extended selection of natural and organic products, and convenience items such as chef selections, hot and cold food bars, soups, hot sandwiches, expanded-service cheese. We are also expanding our Event Planning services to make every occasion special for our customers. TL: What are the lessons learned from projects that didn’t succeed? TJ: There are always lessons to learn. We incorporate operational feedback, associate feedback, customer feedback, and determine what were the obstacles to success. We don’t get caught up in the “it didn’t work” mode, but rather, how can we make it work next time around. Sometimes we’re ahead of the curve and time, and at other points, it just wasn’t a product or service that resonated well with the customer. As long as we learned, there’s a degree of success. TL: Besides business and department operations, what does an employee-owner learn working in the Publix culture? TJ: We learn people first. We learn family. We learn that that Publix becomes our extended family. We learn hard work, dedication, commitment, responsibility, and personal accountability. I believe that because this is our extended family, I have a great responsibility to serve. It’s amazing to me to hear and see how many people worked at Publix as their first job and still today remember our culture and the small things that made the most impact in their lives. California wine country feel with farm to table cuisine, boutique wines, craft beer and great service all come symphonically together. Now in two locations. LOYALTY IS EARNED. IT’S DOING THE THINGS YOU SAY YOU’RE DOING EVEN WHEN FOLKS AREN’T LOOKING. IT’S DOING THE THINGS THAT WILL HAVE THE GREATEST GOOD FOR THE GROUP. IT’S RESPECTING DIFFERENCES. UNDERSTANDING THAT WE EACH BRING SOMETHING TO THE TABLE THAT HAS BEEN SHAPED BY THE INDIVIDUAL’S EXPERIENCES. TL: In addition to being a great place to work and shop, Publix has contributed even more to the Lakeland community — parks, food programs for those in need, even the Publix Commons dorms at Florida Southern that I called home for several years. What’s the motivation for such generosity? TJ: We learned from our founder, the late George Jenkins. He was once asked what he thought he would be worth had he not given so much of his money away. And he humbly replied, “Probably nothing.” It is our culture. Our associates are passionate about service whether in our stores or in our communities. We volunteer our time, our talents, and our dollars. I am proud of our associates and the countless organizations we serve as a Publix family. TL: In what ways can Lakeland’s community inspire motivation and engender loyalty in the way that Publix culture does for customers and employee-owners? TJ: Loyalty is earned. It’s doing the things you say you’re doing even when folks aren’t looking. It’s doing the things that will have the greatest good for the group. It’s respecting differences. Understanding that we each bring something to the table that has been shaped by the individual’s experiences. It’s valuing those differences. It’s recognizing that healthy conflict is a good thing. It’s important to remember the past. Enjoy the moment. And look to the bright future ahead. Handcrafted Invitations and Letterpressing afinepress.com | 253.237.4636 A Fine Press is designing the invitation suite for this year’s The Knot wedding magazine holiday party in NYC for the top vendors in the wedding industry. And we want you to be a part of our inaugural season this fall! Join us in our brand-new Fire football stadium for the next chapter of Southeastern University's championship athletics. For ticketing information and team updates, visit fire.SEU.edu or follow us on Twitter @ SEUFireFootball. We hire the best of the best. Top professional ability, a genuine passion for the industry and personal integrity are key components to our unique and coveted team. A R E � YO U � R E A DY TO�GO�HAIRLESS? L I M I T E D T I M E O N LY ! ©2014 IDEAL IMAGE DEVELOPMENT CORPORATION. Call today to schedule your FREE consultation! 1490 TOWN CENTER DR. LAKELAND, FL 33803 Offer expires October 31, 2014. Decorative Concrete finishes for outdoor and indoor: flooring, countertops, walls, and more. noboringconcrete.com | 863.800.0639 In With the New will be featured on upcoming episodes for HGTV’s DIY Network shows, including Kitchen Crashers, Bath Crashers, Yard Crashers, Mega Dens, and Yardcore. The George Effect is alive and well in the entrepreneurial spirit of Lakeland. The product still matters. The people still matter. The countless days and nights of unglamorous toil still matter. And yes, so does the grit, pluck, and sheer force of will of the entrepreneur. LESSONS FROM THE TRENCHES Like other battle-worn entrepreneurs, Lakeland’s don’t shy away from giving away advice to aspiring entrepreneurs. Grounded in hard-earned, personal experiences, they each point to lasting lessons they learned along the way. For Ramos and Wengerd, it’s about maintaining a keen focus on the quality of their craft. “You’re only as good as your last job,” cautions Ramos. “You’ve got to treat your customer like they are everything, and you’ve got to give it your best, because that could be your next job from their referral.” Those sentiments are echoed by Wengerd as well. “You’ve got to be ready when the President calls,” says Wengerd, who was recently commissioned by The Knot magazine to create invitations for their annual gala in New York. Kim and Caroline Cleghorn opened c.k.cleghorns to showcase Kim’s whimsical art and their love of home design. In addition to Kim’s paintings, c.k.cleghorns has a unique selection of fine gifts, garden items and hard to find antiques. George Jenkins opened his â&#x20AC;&#x153;Dreamstoreâ&#x20AC;? in 1940. The store was renowned for its automatic opening doors, the first to be installed in any grocery store. The Dreamstore was designed to make shopping a pleasure, with in-store innovations such as air conditioning, specially designed cases, and wide aisles. rganizations that donâ&#x20AC;&#x2122;t innovate are doomed to be surpassed and ultimately destroyed by those that do. Coined â&#x20AC;&#x153;creative destructionâ&#x20AC;? by the Austrian American economist Joseph Schumpeter, the market is constantly evolving and changing, which makes it necessary for organizations to evolve and change in response. While most know that innovation is necessary to adapt to these changing patterns, creating an environment that supports it within our organizations often seems like more of an ideal than a set of strategies upon which one can act. While I have come to believe that fostering innovation is more of an ongoing journey rather than a set of action steps, I also believe that there are some key elements that are necessary for leaders to understand and implement. One iconic company in our community has used those elements to not only adapt to the changing market, but also to thrive during the past 80-plus years. Our community only needs to look to Publix, and its founder George Jenkins, to help us understand how we too can foster innovation within our own companies and community. DONʼT FORGET THE MOST ESSENTIAL HOME UPGRADE. Avoid costly repairs by upgrading your home piping and septic systems. Liberty Plumbing and Septic performs virtually any plumbing service you need. From small repairs to large projects, Liberty Plumbing and Septic delivers the results you need with the personalized attention you deserve. Throughout my early life, my father had a favorite saying: “An idea is rarely conceived and perfected at the same time.” When he uttered those words, I would inevitably show my annoyance and set out to prove him wrong. At the time, I failed to realize the wisdom in the lesson and have since come to understand that innovation is often a series of ideas, built one on top of another like the blocks of an arch. We obtain these building blocks through many thoughtful observations which we hypothesize, iterate, and test over a period of time. Creating an environment that supports innovation within our organizations takes time and patience. When you read the history of how Mr. George founded and opened the first Publix Super Market in 1940, it was an idea that took 10 years to develop into the innovation it became. The “food palace,” as it was described, was based on a very lofty vision and was seen as a true innovation, but ultimately it was built on many smaller, innovative ideas, including air conditioning; automatic doors; and a clean, friendly aesthetic. These concepts took years to develop and were the result of the first two stores Mr. George opened in the years preceding. I believe that the 10 years that Mr. George spent conceptualizing the first two Publix Food Stores was a time of trial and error during which he worked to test his nascent ideas that eventually became the first Publix Super Market. During these formative years, it is likely he began to implement and prove — at least to himself — that the innovations he believed in could work on a larger scale. Innovation is an iterative process, a process that consists of many rounds of trial and error that ultimately result in a revelation that refines an idea to a point at which it becomes practical in the real world. During this process, it is important to take each successive failure, learn from it, and try again. This often means it is better to execute small projects and see what works in order to learn along the way as opposed to spending huge amounts of time planning for scenarios that may not happen. Starting small also allows the innovator to experiment, to test an idea and discern if it might succeed or even fail — a scenario that excessive planning would not necessarily expose. In the end, the real trick is to recognize, through the many small failures, when it’s time to put an idea to rest and to move on to the next one. We can give you 8,000 reasons, our legion of independent STIHL dealers nationwide. We count on them every day and so can you. To give you a product demonstration, straight talk and genuine advice about STIHL products. To offer fast and expert on-site service. And to stand behind every product they carry, always fully assembled. You see, we won’t sell you a chainsaw in a box, not even a big one. Are you ready for a STIHL? To ﬁnd a dealer: STIHLUSA.com | STIHLUSA.mobi 1-800-GO-STIHL The Home Depot and Lowe’s are registered trademarks of their respective companies. the catalyst for their greatest success. This remains true in the business world — as long as we reflect on the failure and through this reflection learn how we can become better or improve. In order to truly create an organization and a culture that innovates, we must accept failure and even celebrate it if we fail in the right way. Mr. George understood this trade-off; he embraced failure and allowed it to grow into great success. Years ago, I remember Publix putting Chipotle-style burrito bars into a small selection of stores and testing the concept. Interestingly enough, within a year or two, they were nowhere to be found. This is a perfect example of starting small, seeing what happens, and then accepting (and even celebrating) failure. Looking back at the foundation story of Publix, one must take notice that Mr. George decided that the first two Publix Food Markets must be closed — a message to his organization that through failure, innovation can be born. an environment conducive to creativity, ideas, and innovation. Unnecessary stress, even in small doses, stifles a creative and innovative environment. While deadlines are necessary and are motivators, unnecessary stressors in the work environment can actually be counterproductive to creativity and innovation. When was the last time that you felt creative when someone was upset with you and you knew you had to address the situation? What if that situation was unnecessary and extraneous? Did you feel creative? Did you feel the creative focus and spirit? The answer is probably not. You were probably motivated to simply address the situation (or avoid it) and get away from the stressor as quickly as possible. Teams cannot be at their most creative points if there are multiple stressors exerting pressure. In fact, when presented with multiple stressors, teams are more likely to stick with conservative, traditional methods to solve a problem — which, as discussed earlier, makes it almost impossible to develop more innovative and efficient methods. Practically, this means that an organization must strive to eliminate day-to-day stressors, such as unnecessary policies and procedures, and implement programs such as flextime and team building. For team members that are in positions that require creativity and innovation, a simple deadline can be enough motivation to complete the project. The birthday-cake water tower is a Lakeland-area landmark. It was a new direction for Publix innovations and was not erected solely for show. It can deliver 250,000 gallons of water per minute and, at the time, provided all the water needs for the Publix Industrial Center. The structure is 2.25 million pounds of steel with each eight-foot candle weighing 250 pounds. By 1979, Publix Super Markets had more scanner-operated checkouts than all but two other grocery-store chains. BUILD A CULTURE, AND HIRE A CREATIVE AND DIVERSE TEAM In order to build a truly innovative culture — a culture not dependent on oneself or any particular person — the team should be diverse in both demographics and training backgrounds. A diverse team is necessary in order to foster innovation, to effectively and efficiently create, test, and abandon ideas. It intrinsically follows that sustainable idea generation does not happen in a vacuum. Ideas must be more than one’s own; they must build on and support the ideas of others. This is true even if the idea is destined to fail, because it is through the process of failure that the idea may evolve into something truly innovative that can make a difference in the organization and in the real world. Publix thrives today because Mr. George built a culture and a team dedicated to innovation. Publix has built an empire around its culture of community service and its customers within that community. The phrase that Publix coined many years ago, “Where shopping is a pleasure,” may seem like a short, simple slogan, but it is much more than that. That motto required that Publix and Mr. George not only say that they created a pleasurable shopping experience, but that he and his employees truly embodied, practiced, and lived that ideal. When one looks back at Publix’s impressive history of success and the impact it has had in this community, it is hard to deny the continued drive to innovate and improve as an organization. Mr. George understood that innovation took time to develop; he understood that the process required small steps and failures along the way. That team and their successors ultimately passed along those values and created the thriving organization that we all know and love today. Using these ideas and their examples, we should all strive to build innovative organizations that can be a part of our community well into the future. Jimmy Waller, Equity Partner Broker • 863.940.3063 • jwaller@sihle.com 1 2 3 S o u t h Te n n e s s e e Ave n u e • S u i te 1 • L a k e l a n d, F L 3 3 8 0 1 Waller Partnership Advantage: Advisors. Partners. Advocates. Former Florida Governor Lawton Chiles, a beloved Lakeland native, once said of George Jenkins that he was “a true civic leader who had a deep dedication to improving our community.” Of Mr. George’s countless contributions to our city, some of the most cherished can be found in the gathering spaces, the parks, and the landmarks that Mr. George, his family, and his chief officers endowed to our city through his legacy of giving. In 1957, when shopping centers — multiple stores sharing a central parking lot — were still a new concept, most grocery chains opted to rent a space in a plaza. However, in true Jenkins fashion, Publix went beyond the norm and, instead, developed their own shopping centers. Southgate was among the earliest of its kind. The $1 million Southgate Shopping Center opened on Nov. 19, 1957, with 16 stores, on what was the edge of town. Its anchor store was, of course, a brand-new Publix and included Jenkins’ latest innovation, “The Danish Bakery.” The iconic 70-foot parabolic arch has become a symbol of “home” for many Lakelanders. The Southgate arch is part of Lakeland’s identity and is also a big claim to fame. Not every town can tout a neighborhood shopping center made famous by a cameo appearance in the 1990 Tim Burton film Edward Scissorhands. BECOME ONE. Call (863) 519-8900 x 289 to register for our next information night. NOW SEEKING: • Wish list sponsors! • Toy drive sponsors! • Monetary contributions! • Your help sharing the need on social media! Photo: Jason Stephens Inspiring awe in Lakeland children since 1982, the Publix birthday-cake water tower (across from the old corporate office on George Jenkins Boulevard) is acclaimed as one of the nationâ&#x20AC;&#x2122;s most unique water towers. We hear the candles even light up at night! William “Bill” Porter, Design Proposal: Red GM Sports Car, 1959. Jean S. and Frederic A. Sharf Collection. Photograph ©2014 MFA, Boston. Our passion at Elixir is to elevate the health of our community by providing high-quality, nutrient-rich, cold-pressed, vegetable and juice blends. Think of our Elixirs as your daily multivitamin. We understand how difficult it can be to consume adequate amounts of fruits and vegetables every day. That is why we created these hand-crafted juices that not only taste delicious but meet your daily requirements, boost your energy, detoxify your body, and aid in weight loss. ONLINE at ElixirLiquidTherapy.com Order a feast or á la carte. PICK UP at Gold’s Gym - 3625 S. Florida Ave. or Healthy Habits - 4760 S. Florida Ave.
Barnett Family Park is a powerful example of Lakelandâ&#x20AC;&#x2122;s ability to blend all aspects of The George Effect. This park exists because of the seamless merging of philanthropy, leadership, community, innovation, and craftsmanship. Made possible by a major gift from Barney and Carol Jenkins Barnett, the park provides an inspirational gathering space for children and families on the beautiful shore of Lake Mirror. Photo: Tina Sargeant An original Frank Lloyd Wright design for the campus of Florida Southern College, the Water Dome was partially built in 1940s but took many years to come to life as it was originally intended. In 2007, when the technology and resources were finally available to complete construction, the Dome powered on and has been a community treasure ever since. Funds to revive the Florida Southern Water Dome were provided by Clayton Hollis, a Florida Southern graduate and current board trustee whose father was president of Publix Super Markets in the 1980s and 1990s. Publix’s mastery of artful communication — from customer service and business practice to moving television commercials and print materials — set the bar for craftsmanship in our community and beyond. The roots of Publix’s creative team, a team that started out as a small sign shop where associates painted advertisements onto sign boards, are a testament to the company’s devotion to craftsmanship. In her collection, “Lakeland Neon,” Alison LaMons, this year’s Mayfaire-by-the-Lake People’s Choice Award artist, pays tribute to the creative culture of craftsmanship fostered by Mr. George and cultivated by the Publix team. Alison’s work “captures a sense of visual historical fiction as she portrays the spirit of the grand era of the neon sign (alisonstudios.com),” and merges new with old, the past with the present. Since 1972 We’ve treated them like family. At The Sanoba Law Firm, we offer sound and sophisticated advice on complex real estate issues our clients face. Everything You Expect From Your Auto Dealership For Almost Half the Cost. ABOUT ALISON Alison Claire LaMons, 52, “Emerging Artist,” and homeschool mom of three, moved to Lakeland from Fort Lauderdale one decade ago and hasn’t looked back. Alison has lived, studied, and traveled extensively in Europe. Her studies included an internship with the Peggy Guggenheim Collection in Venice, Italy, and time at The Parsons School of Design in Paris. When she returned to the States, she graduated from Columbia International University where she focused on Biblical studies and theology. Somewhere in there, she also collected an Associate in Arts degree from the Art Institute of Fort Lauderdale (winning “Best Portfolio,” upon graduation), and spent 15 years working as an architectural designer and illustrator. Now, at long last, Alison is becoming the fine artist she has always wanted to be. You can find her at alisonstudios.com. They deserve the best, because they’re family too. Starring Role in the film Documentary on The Life of George Jenkins “Mr. George” Publix Supermarkets Founder. Appearing in the National TV Show Graceland on the USA Network. Nemours Children’s Hospital National TV Commercial. First-run movies Bright digital picture Double features Radio sound Swap Shop - Sat. & Sun. Date: Opened August 2 Location: 412 Longfellow Blvd., Suite 4 Sabby & Kay’s Boutique is a mother/daughter team that brings ageless fashion jewelry to women, teens, and kids. Their experience gives the boutique a contemporary, Victorian, and eclectic style. They offer personal jewelry consultations, wedding jewels, bridal parties, and gift registry. Come by and shop in the store, or visit them online. Date: Unknown Location: Oakbridge Square, Harden Blvd. For some time now, the hype for TooJay’s Deli coming to Lakeland has been a burning topic in many a Lakelander’s mind. Finally, after months of anticipation, construction has begun on the building that will eventually house the new and very popular delicatessen. An originally estimated opening in June was pushed back due to permitting issues but has now been resolved. TooJay’s plans to open its doors within the next few months. Date: Late Summer/Early Fall Location: Merchants Walk Plaza, 3615 S. Florida Ave., Suite 110 Keke’s Breakfast Café, a Florida-based breakfast/brunch restaurant, will finally open its doors in Lakeland in the Merchants Walk Plaza. The restaurant will feature traditional breakfast items like waffles and fruit parfaits along with some interesting finds, including buffalo chicken omelettes and cheeseburger pressed-wraps. Date: Late Fall Location: Dixieland, 119 Hillcrest Street Hillcrest Coffee, the soon-to-be-opening coffee shop in Dixieland, plans to feature two coffee bars, including a slow bar featuring cold brews, pour overs, and French-pressed coffee options. Also, look forward to hand-made chocolates, featured local artists, live music out on the back patio, and many other neat things from this highly anticipated coffee house. Date: Mid-November Location: 4626 Cleveland Heights Blvd. Haka Fitness, an extremely popular fitness facility in Lakeland, is moving to a new location come late fall. Owner Rebecca and her team says the new facility will be designed to fit the needs of their clients and their booming business. The new building will be located on Cleveland Heights Boulevard, exactly one mile south of the YMCA. Date: Unknown Location: old Peso’s Mexican Restaurant location, S. Florida Ave. A favorite Lakeland sushi spot, Spice Thai is moving in next to the new Popeye’s on S. Florida Avenue. Spice will be taking over the previous Peso’s Mexican Restaurant location. No word on a move-in date or reopening. quality Only the finest meats, cheeses and vegetables are used to make our delicious classic italian dishes. Come enjoy. 3615 S. Florida Ave. Lakeland, FL (863) 607-6030 • ilfornolakeland.com Mention the Lakelander for today’s special! Back in 2006, Lighthouse Ministries, Inc. renamed its Center of Learning in honor of George W. Jenkins, founder of Publix Super Markets and a Lighthouse Ministries’ Legacy Donor. The George W. Jenkins Center of Learning wing within the Jay & Eloise Troxel Family Life Center contains the Adult Learning Center and Lighthouse Community Preschool. The Adult Learning Center provides ministry residents with educational services, while the preschool doubles as a resource for the mothers of young children residing in the program, as well as making a quality childcare option available to the community. His legacy of giving has continued through the George W. Jenkins Fund within the GiveWell Community Foundation, as well as Publix Super Markets Charities. ToToSchedule Schedulea atour, tour,call call863.577.0977. 863.577.0977.
best technology, we work to keep your child healthy and strong on his journey into adulthood. That’s because at Watson Clinic, caring for your family is at the center of all we do…times two!